Hosted by the China Mobile Communications Association and Global Leaders Institute, the China Mobile Internet 2010 Summit will be held on April 7-8, 2010, in Beijing, China, and is officially supported by China Mobile, China Unicom and China Telecom. It is designed to enhance the cooperation between telecom operators and service providers, and is estimated to gather more than 150 policy-makers, entrepreneurs, industry elites and investors from the mobile internet fields from home and abroad. The summit has attracted world-leading organizations, such as the International Telecommunication Union, Mobile Marketing Association, Mobile Entertainment Forum, Hong Kong Wireless Development Centre and TD-FORUM, to be involved as international endorsers. 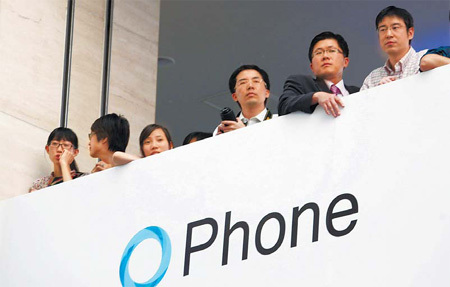 As the Ministry of Industry and Information Technology issued 3G licenses to three main telcos, China has started a new era in mobile internet: China Mobile launched its own app store, named Mobile Market this August; China Unicom sealed the contract with Apple for its iPhone; while the internet giant Google inaugurated the Android operating system and tightened its partnerships with operators globally. Thousands of brand-new trails are blazed and pouring into the largest potential market in the world. At the second stage of China’s mobile internet development, mobile value-added services and innovative applications will be the focus of attention. CMIS2010 will feature four plenary sessions with above 30 keynote addresses from high-level international speakers and 20 more groundbreaking achievements on showcase. For more Information visit the China MIS Website.